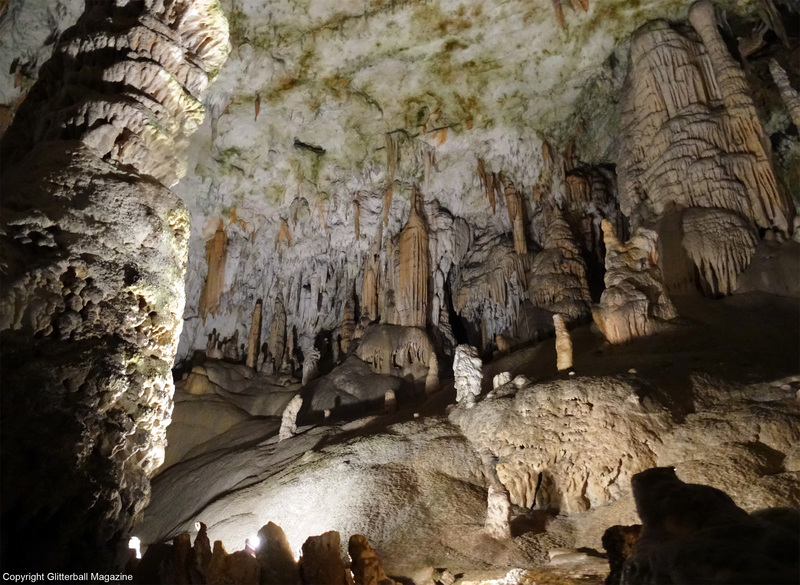 Famous for its picturesque underground, Postojna Cave is full of adventures. I must admit, parts reminded me of the film Labyrinth. I struggled not to burst into the chorus of Magic Dance. 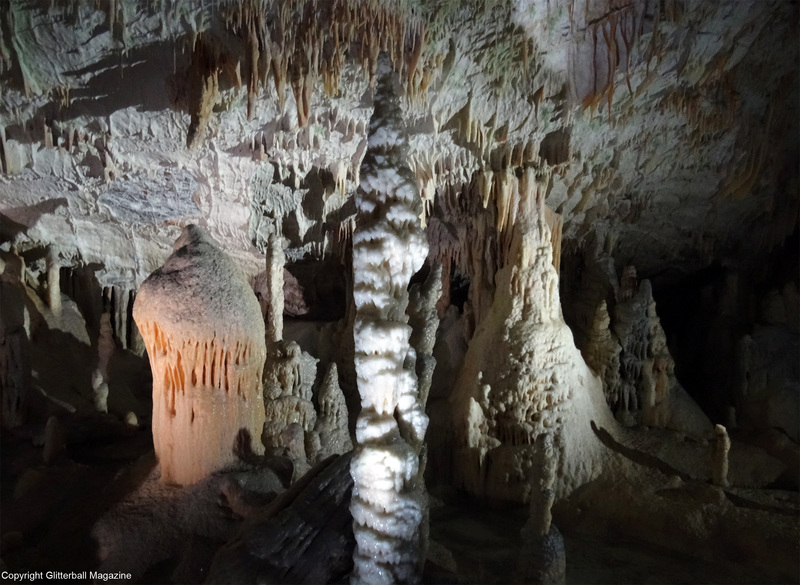 Situated by the Pivka River, the 24km karst cave has been carved in limestone for two million years, filled with amazing chambers, stalactites, stalagmites and underground halls. 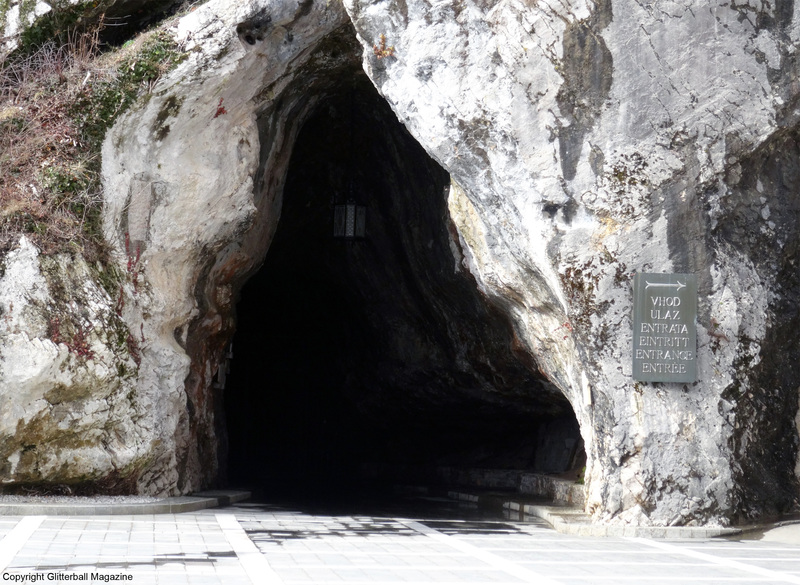 It’s the most-visited cave in Europe. Approximately 1,500 people visit it each day and over 35 million have visited in the last 188 years. The hour and a half guided tour begins with a 10 minute train ride. It’s a wonderful journey through the underground tunnels. 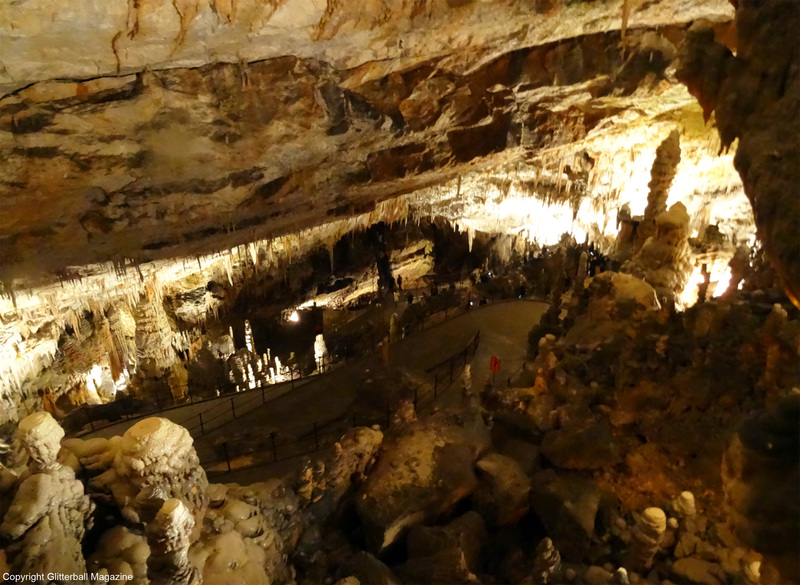 In 1884 electricity was installed so you can admire the magnificent geological calcite formations. The chandelier is amazing, very Marie Antoinette! 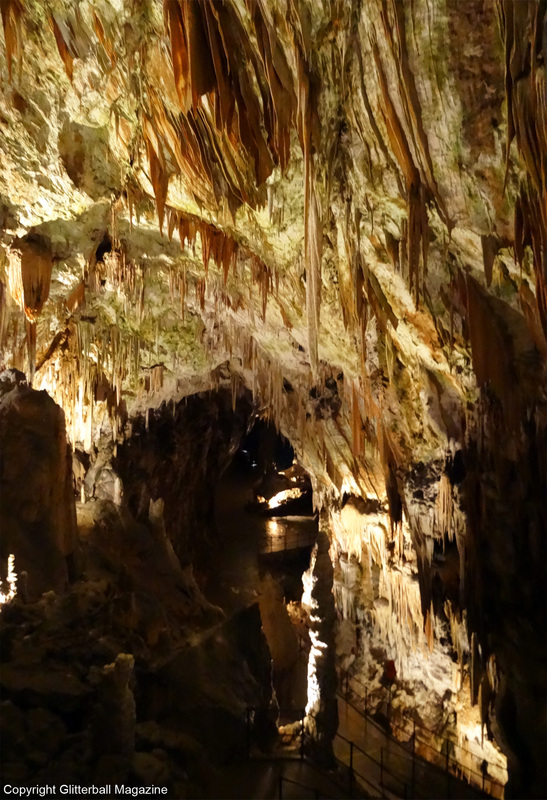 Postojna Cave isn’t called the queen of Slovenian caves for nothing, you know. The rest of the tour is on foot, accompanied by a tour guide (more on that later). Visitors can choose from different languages including English, French, German, Korean, Mandarin and Slovenian. It’s interesting seeing the beautiful columns and curtains, which have developed over the years. 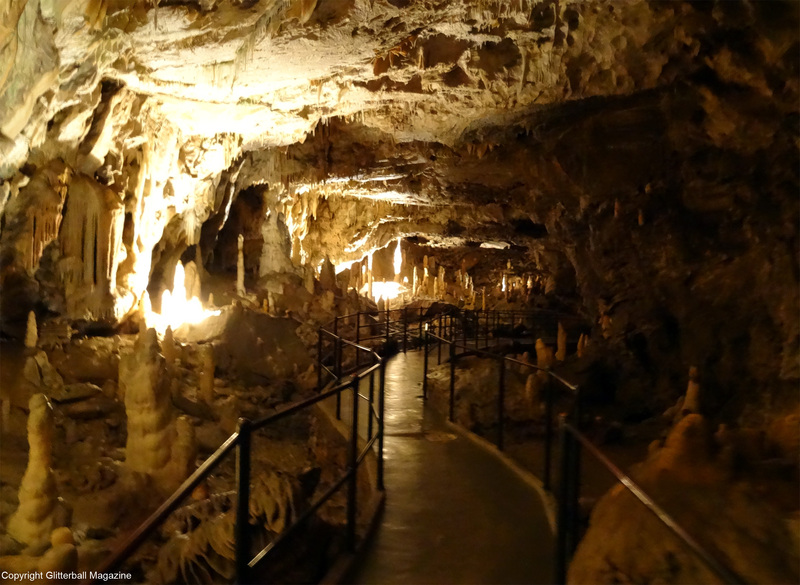 Visitors are advised to wrap up warm as the temperature in the cave is only 10ºC with 100% humidity. There’s plenty to see, from the Spaghetti Hall (given its name due to the spaghetti shaped appearance) and the Concert Hall, which is known for its rich acoustics. The Concert Hall is used for symphony orchestras and holds 10,000 people. There’s also a blackened part of the entrance which is the result of Slovene Partisans destroying aircraft fuel stored by German occupying forces during World War II. 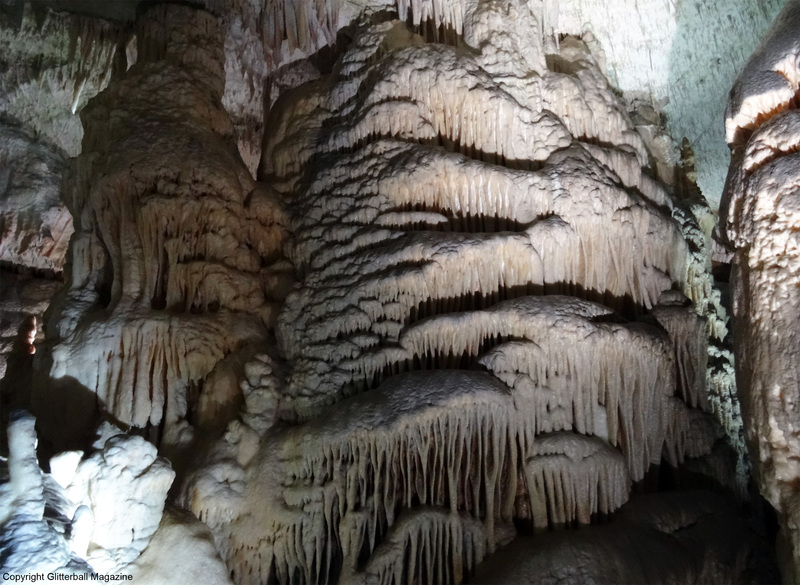 The formations’ growth is incredibly slow, it takes decades for a speleothem to grow just 1 mm. 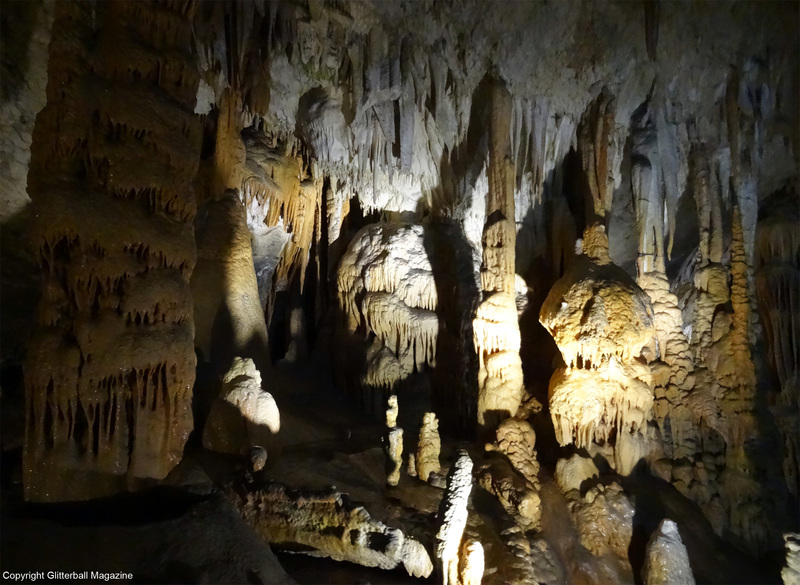 Postojna Cave has stalagmites that grow up from the cave floor and stalactites that grow down from the ceiling. 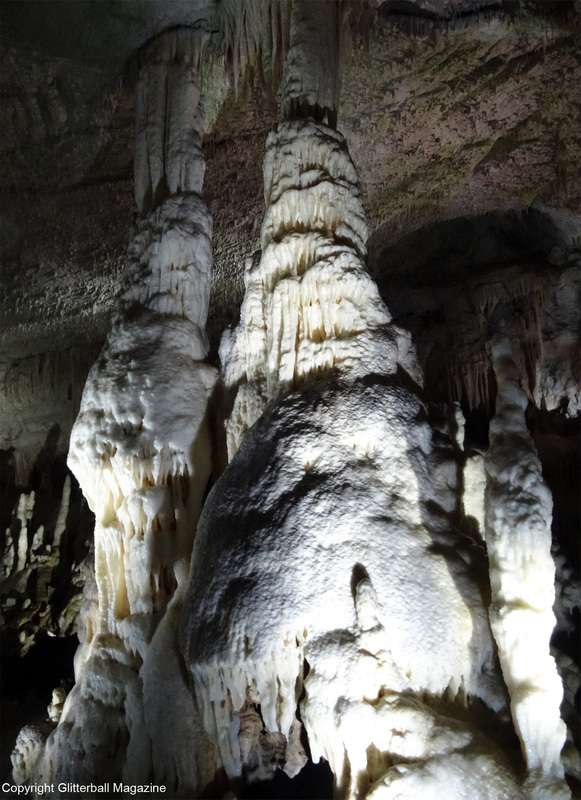 When the two formations meet they create limestone pillars. The aquarium is another attraction, along with the Vivarium Proteus, an olm amphibian. The proteus can live up to 100 years and can go without eating for 14 years. Unfortunately, the ‘baby dragon’ was due to give birth when I was there so I was unable to see her. At the time of writing this, she still hasn’t given birth. 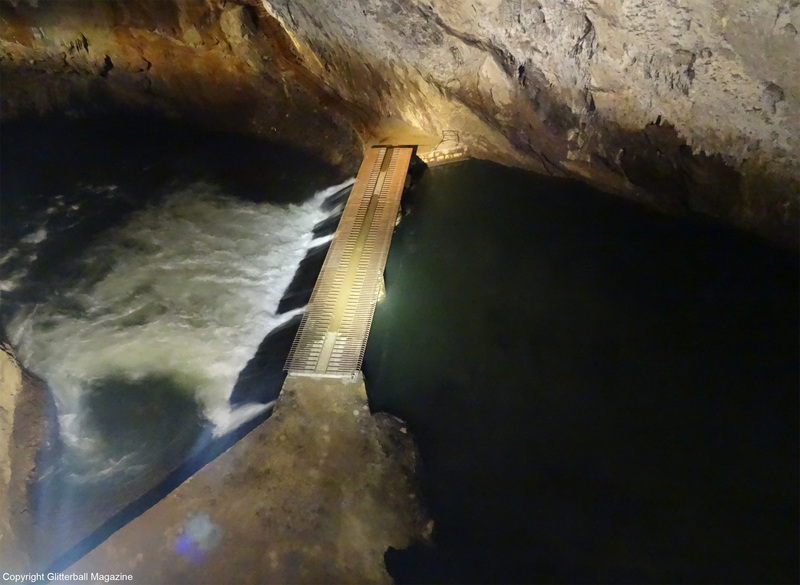 Although I thoroughly enjoyed my trip to Postojna Cave, it was let down by the less than satisfactory tour guide. Visitors were told that due to bad planning, there were more groups than usual, which caused confusion. The tour guide for the English speaking group seemed to be in a hurry to finish her tour as we were the last group of the day and she complained of being tired. 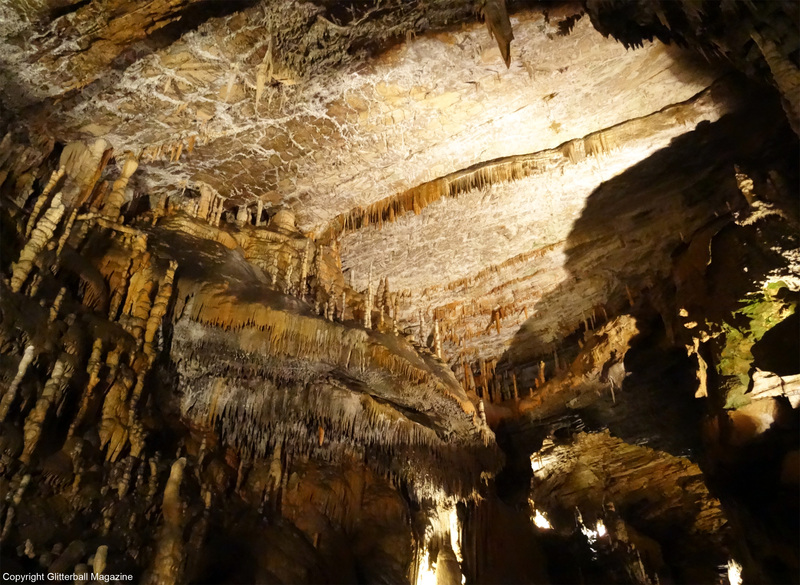 We were rushed through the cave and had very little time to stop and admire the splendour of the cave. Tourists wanted to take photographs but complained of having to dash through to keep up with the group. 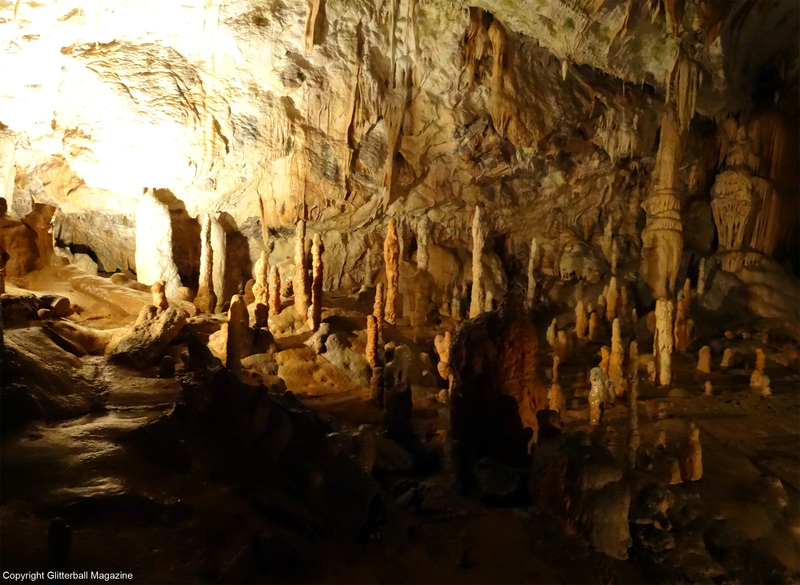 I ended up running through the cave and missing most of the talk because I took photographs. Even when the lights went off for a brief period, the tour guide didn’t stop and made the group continue walking in the dark. Families with buggies struggled to keep up with the fast pace. With so many people running, it was very dangerous. It’s baffling why our group was hurried along, when groups starting their tour before us were still far behind. 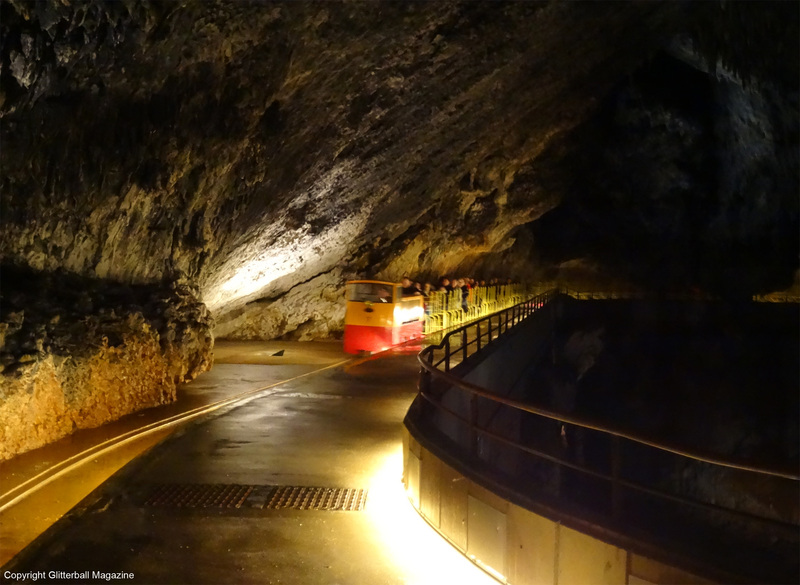 Visitors from all over the world visit Postojna Cave and it’s a shame many will have been disappointed. 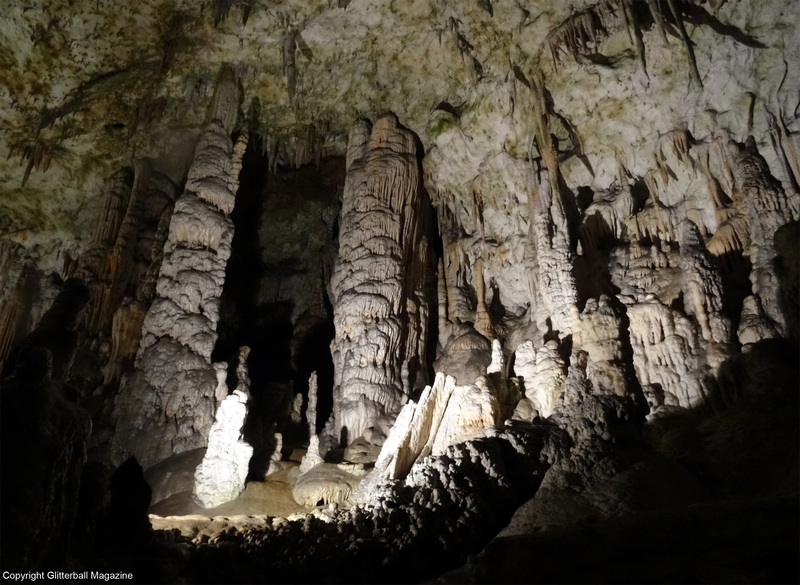 Postojna Cave could benefit from better organisation of its tours to showcase its beauty.